Fire up your grill and get ready to have the best pork chops you've ever eaten. I bought some pasture raised, antibiotic and hormone free 1-inch thick center cut pork chops from our friends at Sunny Cedars Farm and rubbed them with Willie's Hog Dust original blend. 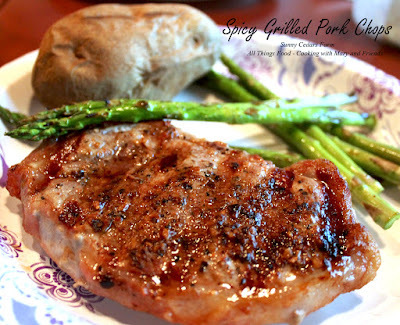 Amazingly juicy, moist and flavorful. You seriously won't think you're eating pork, it's that darn good. 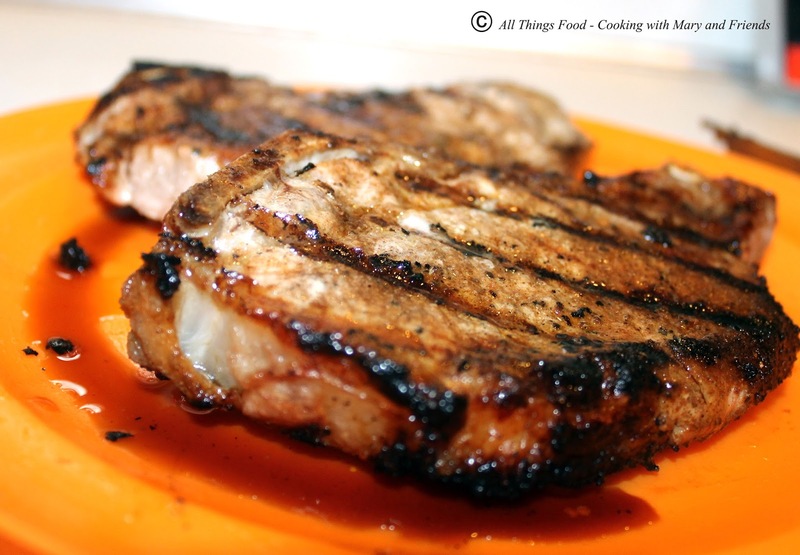 "Pork is now marketed as “the other white meat,” because that’s what you get in the grocery store – a nondescript, flavorless white meat that has to be brined or marinated to give it any flavor. At Sunny Cedars, we know how pork is supposed to be — dark rosy pink, perfectly marbled, rich and juicy, and bursting with flavor!" We are now "pork snobs" as I call ourselves, because we simply can't buy pork any other way than from our local farms. It ... is ... seriously ... that ... good! 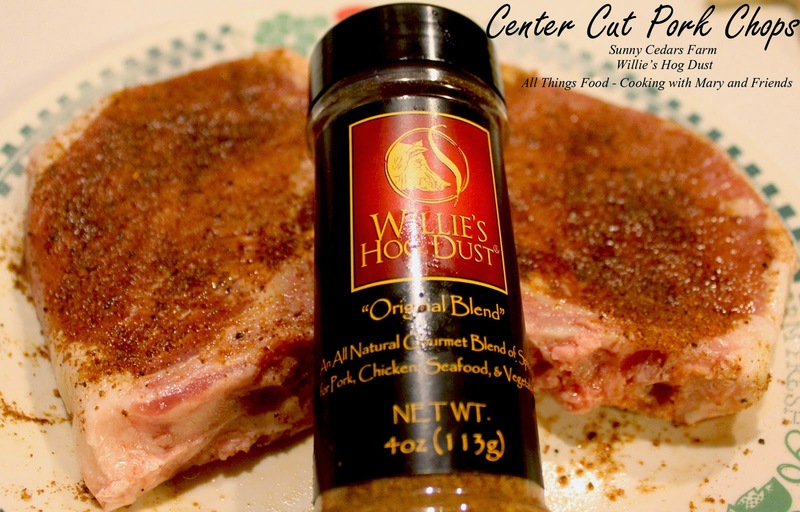 Liberally sprinkle Willie's Hog Dust over both sides of the pork chops and rub in with your fingers. Let sit 30 minutes at room temperature. Disclaimer - I do not have a financial arrangement with Willie's Hog Dust.